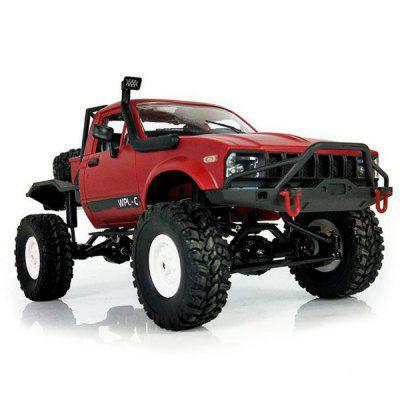 Tricking out your R/C vehicle with scale details and accessories isn’t just for radio-controlled trail trucks and rock crawlers. The fact is, there are plenty of on-road models and bodies that are ripe for customization. Take JConcepts Ford Mustang Fox Body for example. While this body looks great in stock configuration, adding a few scale elements to it can really set it apart from the pack. With that in mind, Exclusive R/C has created their Mustang Fox Body Kit to give this dragster body an even stronger 1:1 feel. The body kit includes windshield wipers, a rear spoiler, rear window louver, side louvers, keyhole, mirrors, hood vents, and a gauge cluster cowl. The Exclusive R/C Mustang Fox Body Kit is priced at $89.99 and is available online at thescaleking.com. Save an additional 10% on your next order at thescaleking.com with coupon code RCNEWB10.